Roast Pork With Cranberry Dip, Basil, Coriander And Rosemary. Royalty Free Stok Fotoğraf, Resimler, Görseller Ve Stok Fotoğrafçılık. Image 61041831. 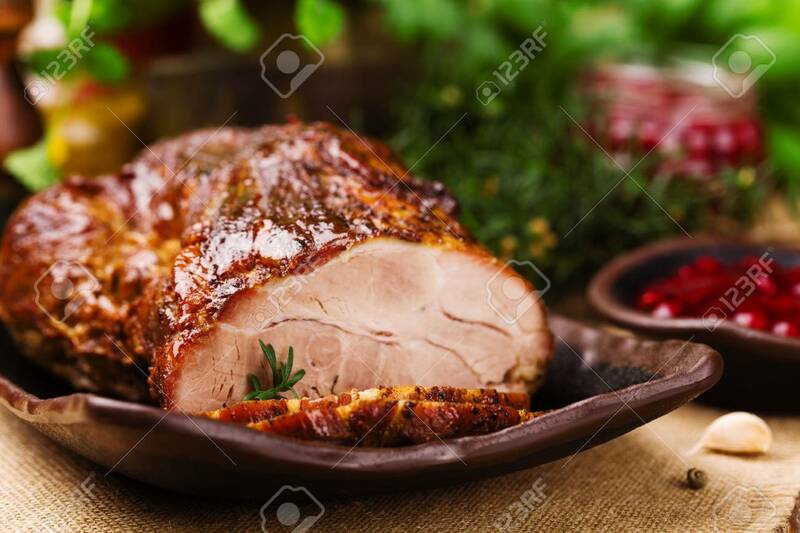 Stok Fotoğraf - Roast pork with cranberry dip, basil, coriander and rosemary. Roast pork with cranberry dip, basil, coriander and rosemary.